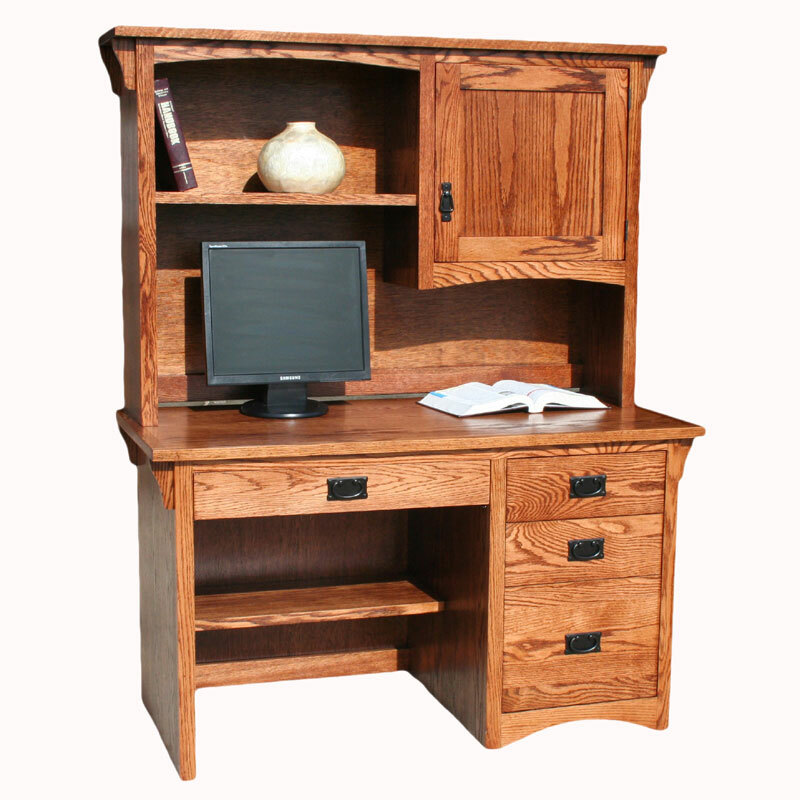 Mission Desk and Hutch. 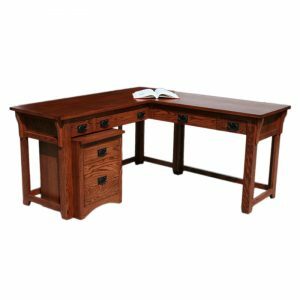 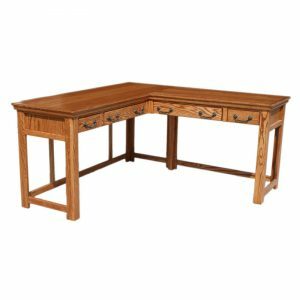 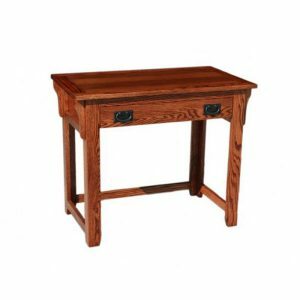 This set includes the Mission 52″ Computer Desk with Drop-Down Keyboard Drawer, 2 Utility Drawrs and 1 Letter/Legal File Drawer, as well as the Mission Junior Lap-Top Desk Hutch with a Flat Panel Door & 2 Adjustable Shelves (One On Each Side). Features include: Front & Back English Dove-Tail Drawers, Full-Extension Slides, Letter/Legal File Capabilities, and Drop-Down Keyboard with a Clear Coat Finish.